Wild Wolf’s Studio reserves the right to alter and amend our timetable as needed. No students will be allowed to enter the class once it has started (excluding Mum Baby and Pregnancy Yoga). Please arrive at least 10mins before the class is scheduled to start. If you have booked a place but have not arrived 5 minutes before the start time, we reserve the right to give your place to someone else. Waiting list for classes – only available in-studio. If you have booked through Move GB we cannot return your class credit to your Move GB account. We cannot offer refunds if you are late and lose your place. If your place has not been given to another student then it is treated as a no-show and you will still get charged by us and we take no responsibility for a third party company, such as eg. Mindbody or Move GB, if they charge you any other fees. If you have booked through Wild Wolf’s directly – Classes needs be cancelled 24 hours before the start time. If you cancel less than 24 hours before the class start time, then you will lose your class credit. If you have booked through Move GB – you are subject to their cancellation policy. The Move GB cancellation policy states that classes cannot be cancelled with less than 24hrs notice of the scheduled start time. Please cancel through Move GB directly, we cannot return your Move GB visits to your account. Payment for single class: Book through wildwolfsyoga.com or through Move GB. We also take card or cash payment at the studio. Payment through membership: Buy our membership through Mindbody and select what membership you would like. Drop in sessions are valid for 1 month after purchase. Class packages are valid for 12 months from the date they are first used. All passes and memberships are to be used by the purchaser only, they are non transferable and cannot be shared. However we sell vouchers to give away in your name or the person you want to give it to. All passes and credits are valid for classes only. All passes and credits are non transferable, non refundable and cannot be extended. Memberships can be cancelled at any time, but you will need to give Wild Wolf’s studio or Mindbody enough time to cancel your membership before your next payment. Your membership pass will renew every month. You will always pay in advance. Memberships can be cancelled at any time, you will also be able to freeze your membership for 1 month, amend through Mindbody. Memberships can be cancelled at any time of the month and you will still be able to use remaining days of your membership. Memberships cannot be shared, and are non-transferable and or refundable. 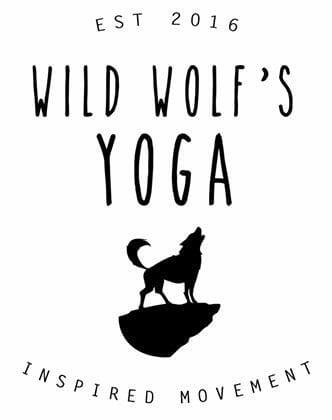 On going unlimited access to all regular classes on the Wild Wolfs schedule. One of payment. Unlimited access to all regular classes on the Wild Wolfs schedule for 4 weeks. You can attend any morning class between 6am – 12pm + weekends. You can attend any lunch time classes between 12pm – 3pm + weekends. You can attend any evening class between 5pm – 9pm + weekends. Workshops and courses will only run if bookings reach our minimum number, (this will differ every workshop) we will inform you in advance if we need to amend or cancel a workshop for this reason. If Wild Wolf’s studio cancels a workshop or makes a change to a scheduled workshop which means you can no longer attend then you will be entitled to a transfer or a full refund. If you know going to be late for a workshop please call us as soon as you can. We can allow students to enter workshops up to 5 minutes late, but no later. If the workshop is booked through the website and you need to cancel 12 hours before the workshop start, we can transfer your credit to any other workshop or offer a refund. If the workshop is booked through a teacher then we refer to their terms and conditions and we hold no responsibility for your booking. If you know going to be late for a workshop please call us as soon as you can. We can allow students to enter workshops up to 5 minutes late, but no later. Otherwise read “late cancellation for workshop” below. Late Cancellations for workshop or course booked through Wild wolfs. We can keep your credit to any other future workshop or transfer your refund back though to you. If you can find a friend to fill your place then we can transfer your credit as a refund. We require the person who is filling your space to call us before the workshop to make full payment before we refund you. We cannot transfer your credit directly to another student. If your place can’t be filled then unfortunately we cannot offer a transfer of credit or a refund.